Chris prides himself on his commitment to excellence. He provides a high level of value to diverse clientele by delivering a work product that is timely and cost-effective without compromising quality. His experience as a “Double E” allows him to develop strategies that minimize risk and unjustified expenses for his clients while maximizing the overall value of their patent portfolios. With five years of insider experience as a Patent Examiner scrutinizing patent claims for the biggest names in computer and network security, Chris has an intimate knowledge of patent examination laws and procedures that enables him to expertly guide innovators during prosecution. He knows how to negotiate the strongest protections possible while navigating the most efficient route to patent allowance. His creativity and ability to synergize complex and evolving legal, scientific and technical principles further enables him to provide practical advice and craft solutions to challenges his clients face in the patent procurement process. Chris represents some of the most prominent organizations driving intellectual property-related commerce today. He works with in-house and foreign counsel, engineers and inventors around the nation and abroad to identify distinctions in the art and procure valuable patent protection. 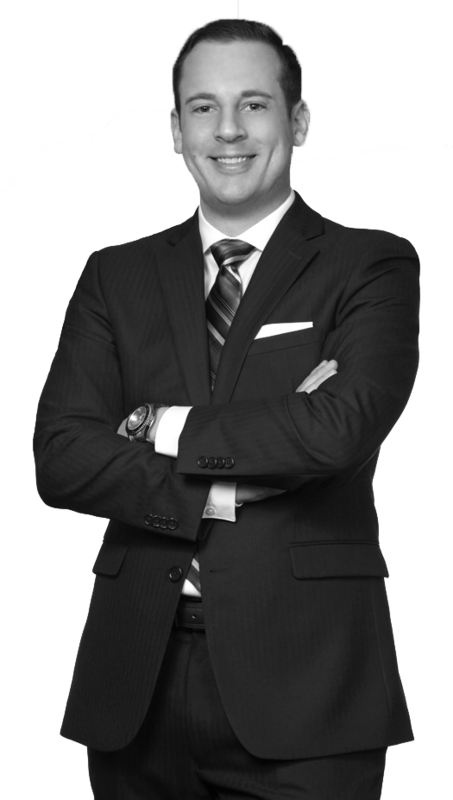 Chris prepares and prosecutes patents that cover a range of industries and technology areas. Examples include: cellular telecommunications networks and systems; semiconductor and integrated circuit devices; cryptography; elevator systems; machine-to-machine (M2M) communications; power control; video broadcasting and panel displays; web conferencing systems; multi-functional peripheral (MFP) image processing and printing devices; medical imaging devices; and robotics. While working as a patent examiner for the USPTO prior to joining Harness Dickey, Chris gained first-hand knowledge of how the patent prosecution process works from an insider-perspective, including an acute understanding of how to draft patent claims that will not only pass muster under the 35 U.S.C. §§ 101, 112, and 102/103 statutory analysis, federal regulations and MPEP provisions with respect to patentability, but will also be valid, enforceable and licensable from a business standpoint. Chris has received extensive training and experience associated with the USPTO’s evolving application of “Subject Matter Eligibility Guidance” in the wake of Alice Corp. and related jurisprudence associated with the judicial exceptions under 35 U.S.C. § 101. Chris is uniquely skilled at using his long-standing relationships within the USPTO and keen understanding of its practices and procedures to the advantage of his clients at all stages of patent prosecution. Prior to entering the legal field, Chris gained practical engineering experience as a student technical assistant in the University of Missouri-Columbia’s Energy Management and Electrical Distribution Department. He worked on projects relating to wiring schematics, database management, equipment monitoring, and utility geo-mapping using state-of-the-art computer software and graphic design programs. The position led to a Capstone Project in which he designed, implemented, tested and presented a system for remotely monitoring and operating a switchgear unit using a combination of hardware and software including programmable logic controllers (PLCs), wireless communications devices and protocols, a field-mounted control unit and a remote user interface. His efforts on the ground-level in college still inspire him to play an active role in driving key innovations today.